Oliver Sweeney is a British menswear brand with a focus on men’s shoes. The namesake brand started in 1989 in the West of England and grew a reputation for avant-garde and fashionable handmade men’s shoes. In 2009, after a couple of slow years, the brand was bought by Tim Cooper, a 4th generation cobbler, and Maurice Helfgott a retail expert who was once the youngest executive designer in feminine fashion. The pair brought the brand to London and grew its offering by adding new lines including casual shoes, trainers as well as outwear and accessories. 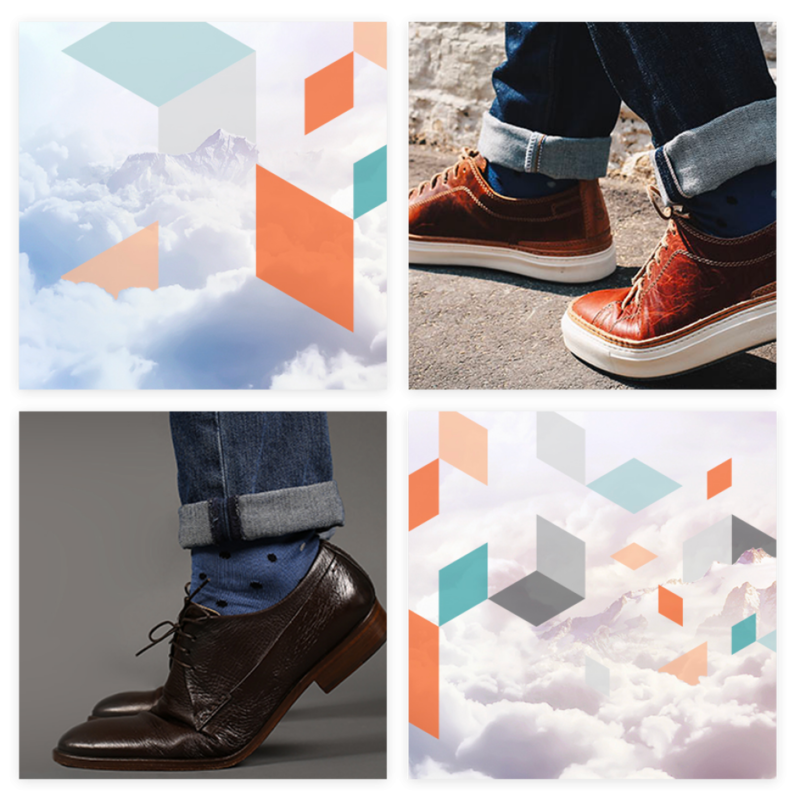 Today the brand prides itself on being a premium menswear brand with a focus on high quality, hand-made shoes. 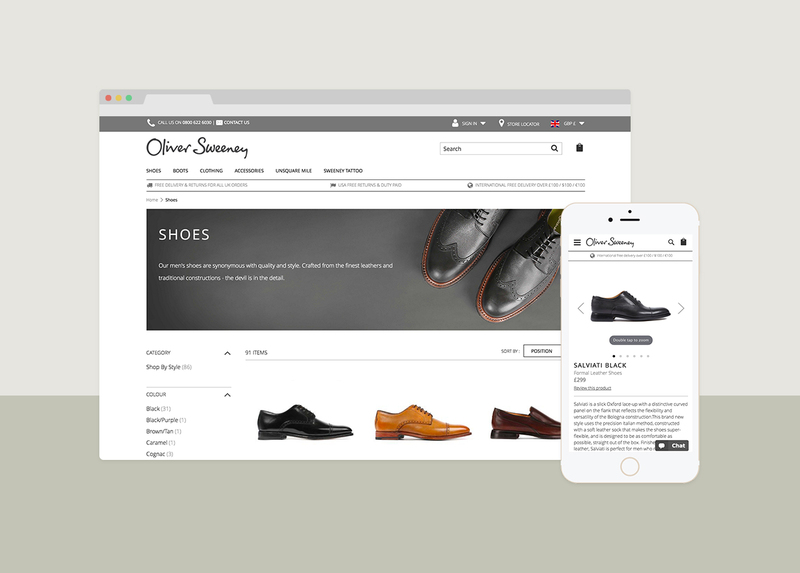 Unlike many brands in the premium menswear market, whose main revenue were driven from retail or wholesale, Oliver Sweeney had already established itself with a strong online offering and wished to capitalise on this with the latest trends in ecommerce. Oliver Sweeney looked for an online solution and reliable platform which offered the latest technologies with longevity, which could grow with the business without the worry of having to re-platform after only a couple of years. The ultimate goal for Oliver Sweeny is to integrate with a platform that allows for a long term vision of a full omnichannel experience for the customer. A variety of reasons made the move to Magento the obvious one for Oliver Sweeney. When looking at platforms, size was a factor; Oliver Sweeney wanted to implement elements which meant that a traditional out-of-the-box offering wasn’t going to be enough. After taking all into account, Magento 2 was the obvious choice for the brand who wanted longevity and steady growth with a platform. 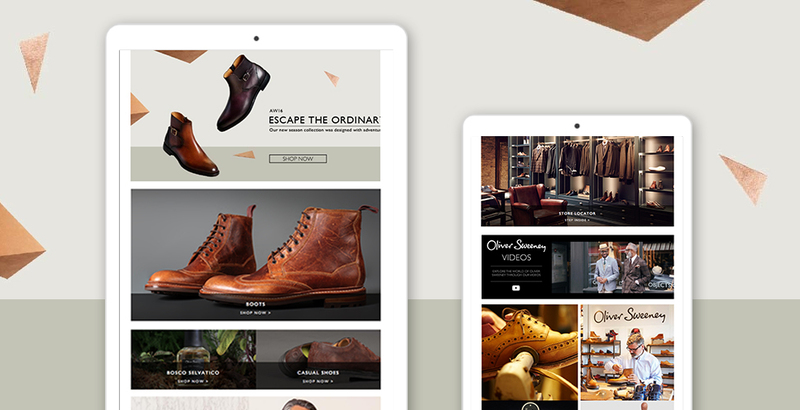 Oliver Sweeney is one of the first brands to go live with the new Magento Cloud system. The AWS hosting was an attractive feature for the brand as well as customisation and ease of use. Price was equally an attractive feature, as one of the most cost effective options right now it was a no brainer for the brand. It’s (Magento Cloud) the ease of use, it’s running and upgrading pretty much automatically, it’s very well hosted on the Amazon servers (AWS) but at the same time it’s a tool that I own, that we can personalise and work on and do pretty much what we want with. With the website freshly launched, Oliver Sweeney is seeing immediate results with the easy of use of Magento 2. 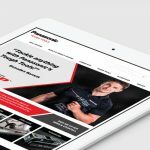 The team have easily launched various merchandising options, discount codes and product variation all with successful results. In the near future, the brand is looking to implement Redbox’s successful ‘Click and Collect’ module to allow flexible options for customers. 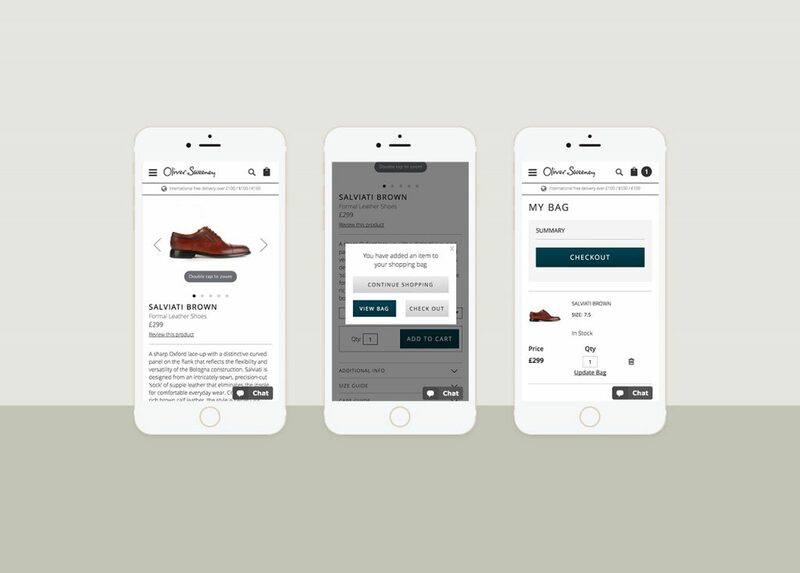 In addition, to continue the omnichannel journey, Oliver Sweeney will see the implementation of in-store Point of Sale systems which will bring online in-store.